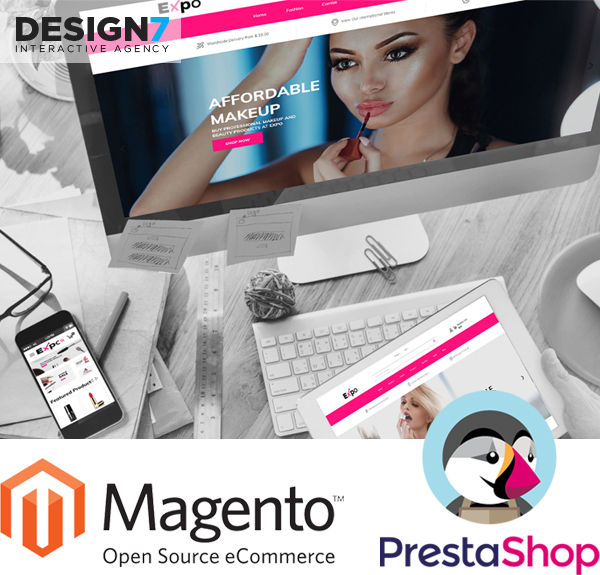 Design 7 offer the best e-commerce solutions. For each project documentation in printed and electronic form is prepared and sent by post to the customer. We offer full service and technical support. Prepared by us stores meet the highest standards. We provide support for credit card transactions. We also offer various types of displaying products including downloading service of files directly from the website. Rich reporting system provides all necessary information on the topic of sales and store operation. • Modified basket, gift vouchers, numerous shipping addresses. • Thought-through block elements, attention to detail. • Annual, monthly, daily reports generated to .pdf file. • Shopping system serving thousands of products.